Jorge Saotome is an oni working with Koenma as his personal assistant whenever Botan is on Earth. Koenma sometimes clashes with him and primarily vents his anger on him if he is anxious over a situation. In the second to last episode of the anime, it is revealed that he is also the narrator of the series, a joke on how they have the same voice actor. 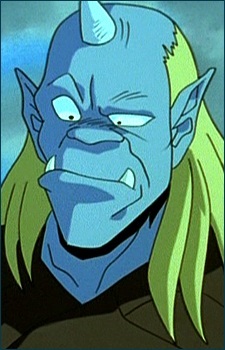 In the English version he is referred as Ogre or Blue Ogre and rarely by name.